Did you know that there are 293 ways to make change for a dollar? 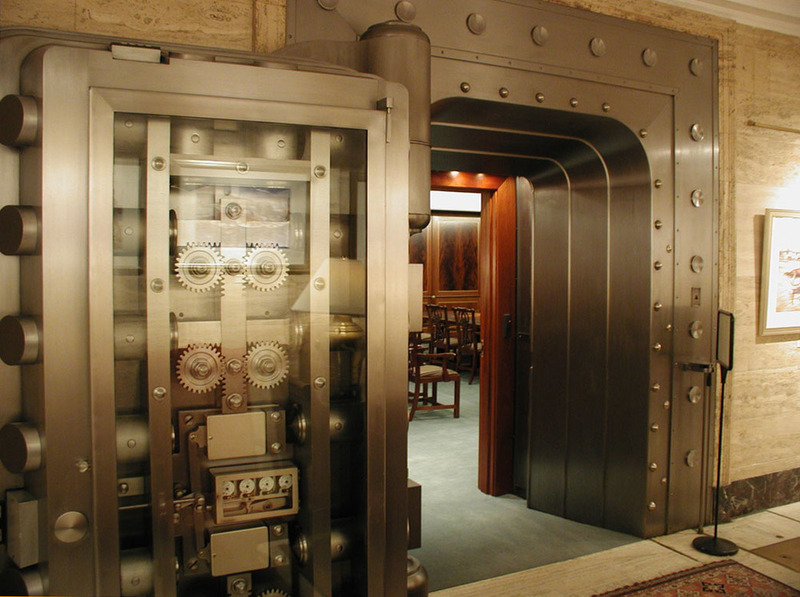 In the early 1990’s, Boston Private Bank & Trust Company emerged with a mission to provide “banking in the European tradition.” For its flagship bank, a vacant 1920’s era Neo-Classical banking hall was selected in the heart of Boston’s financial district. Consistent with the bank’s vision, the grand space and architectural details spoke to an era preceding the predominance of large corporate banking options for retail customers. 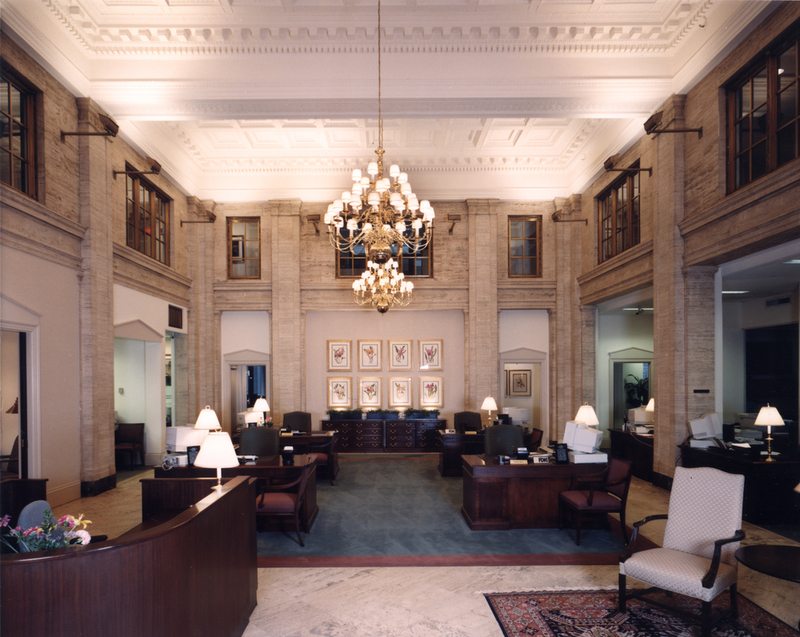 D.W. Arthur Associates was invited to design restorations and renovations of the banking hall and to transform the ancillary spaces for new operations. 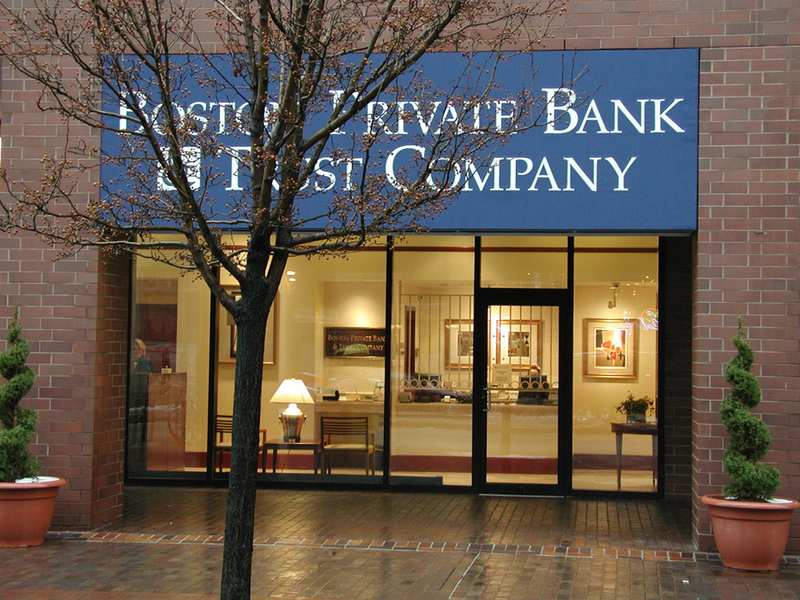 Since that first project, D. W. Arthur Associates has worked with Boston Private Bank & Trust as they continue to expand and update their headquarter offices and branch banks throughout greater Boston. 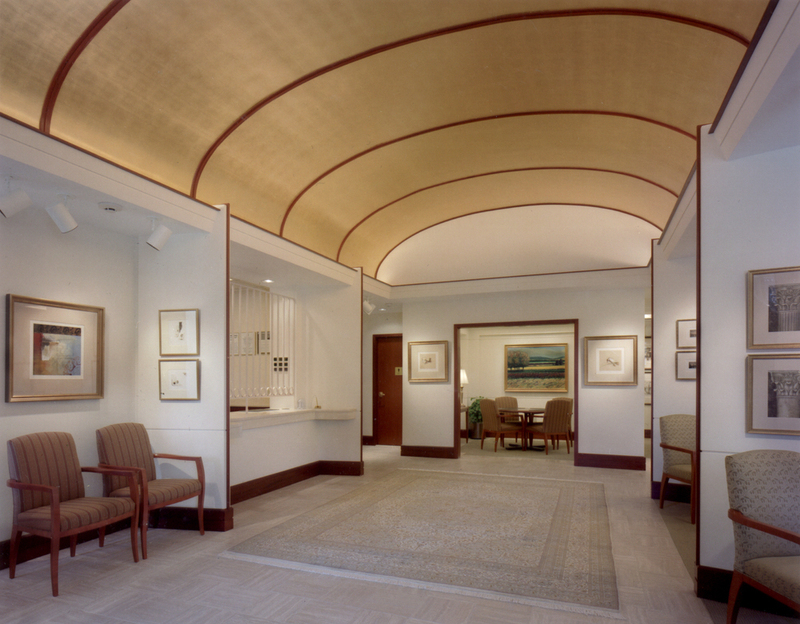 Since 1994, D. W. Arthur Associates has assisted Boston Private Bank & Trust Co. with architectural designs for their evolving banking facilities. The firm’s engagement with the bank commenced with the renovation of an early 20th century banking hall for their headquarters. Shortly thereafter the bank’s growth required expansion into space on several floors in Post Office Square, Boston. Over the years D. W. Arthur Associates designed an art gallery, converted the original bank vault into the board room, designed flexible meeting/conferencing spaces as well as extensive office spaces. Additionally, branch banks in several locations in the Boston area have been designed. Matters of appropriate scale, lighting and finishes are approached with great sensitivity in order to support the bank’s distinctive vision on all projects. The architectural planning and details of each project successfully blend the bank’s unique character with the specific architectural context for each site. For example, much of the Post Office Square banking hall’s original materials have been repurposed throughout the bank’s spaces. Refurbished bronze doors, travertine, and Neo-Classical moldings and details have all been seamlessly deployed to create a unified and consistent environment.